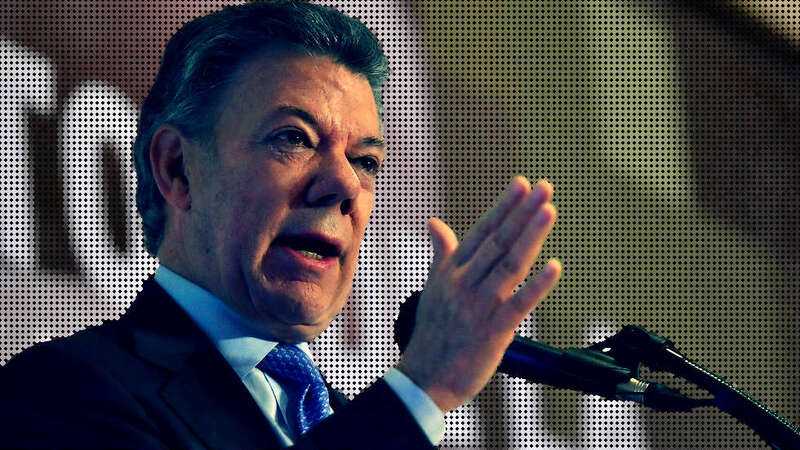 President Juan Manuel Santos ordered the return to Colombia of the chief negotiator in peace talks with the ELN after the guerrilla group allegedly attacked an oil pipeline. The attack took place hours after a bilateral ceasefire expired and hours before peace talks between the government and guerrillas were expected to resume. Santos announced on television he had suspended the talks after hearing about the bomb that damaged an oil pipeline in Aguazul, a municipality in the Casanare province. Santos blamed the ELN for failing to successfully negotiate an extension of the group’s first ever ceasefire that took force on October 1. The United Nations, the Catholic Church and more than 150 social organizations had asked the warring parties to extend the ceasefire. We believe that, despite the incidents that require investigation, the ceasefire provides a better context for society’s participation in peacebuilding and increases the social legitimacy of the dialogue. Both the government and the ELN had expressed their wish to extend the ceasefire, but failed before Tuesday’s deadline. According to the UN, which monitored the truce, the ceasefire had significantly improved the humanitarian situation in areas under ELN control in spite of more than 30 incidents. Incoming government negotiator Gustavo Bell will “return immediately to evaluate the future of the process,” Santos said in a televised address. The talks are complicated by a lack of confidence between the parties and upcoming votes to elect a new president and congress. Guerrilla and government representatives began formal talks in Quito in February last year, two and a half years after they were announced. The ELN has accused the military of colluding with the AGC, a paramilitary group that has been combating the guerrillas in western Colombia. Both security forces and ELN guerrillas are investigated for massacres that took place during the ceasefire. The peace talks take place while the FARC — until last year Colombia’s largest guerrilla group — is running in their first elections since the beginning of the conflict. Also this process has been marred by irregularities and is hardly popular among the country’s population that is polarized after decades of drug-fueled political violence.